Washing them, cleaning up after them, feeding them, putting up with their smell, their noise, the neighbours’ complaints, paying for their food and their medical care. Basically, having your whole world revolve around them. This is what you have to put up with as an animal lover. A glimpse, a warm touch and moist eyes are what you get in return. To some that is the whole world. As a kid I was bitten by a dog twice my size. I was scared to death and on top of that I had to get anti-rabies shots. No kid likes getting an injection in the belly. Recently, while I was working on a documentary on the outskirts of Bucharest, I was surrounded by a pack of stray dogs. I slipped on some ice and broke a four-thousand-euro camera. I never thought I would ever be grateful to dogs. When I first saw the sanctuary near Glina my heart melted, even though there was a minus-fifteen-degree blistering cold. Anyone would be touched by the sight of snowed-in animals. But that was nothing. We often wonder where we might find in real life all those wonderful people we read about in award-winning novels. Fortunately, and thanks to those poor creatures, I was lucky enough to meet some of them. Staunch monarchists, opticians, strategists, tourist guides, they all share the same love. Some were born with the gene, other learned how to care for and love an animal via their love for their own children. If you ever met them, you would realise there is something special about them. But you won’t be able to say what it is that makes them so special until you pay them a visit at home. They are doers. They don’t just preach their love for animals. They act on it and they show responsibility. 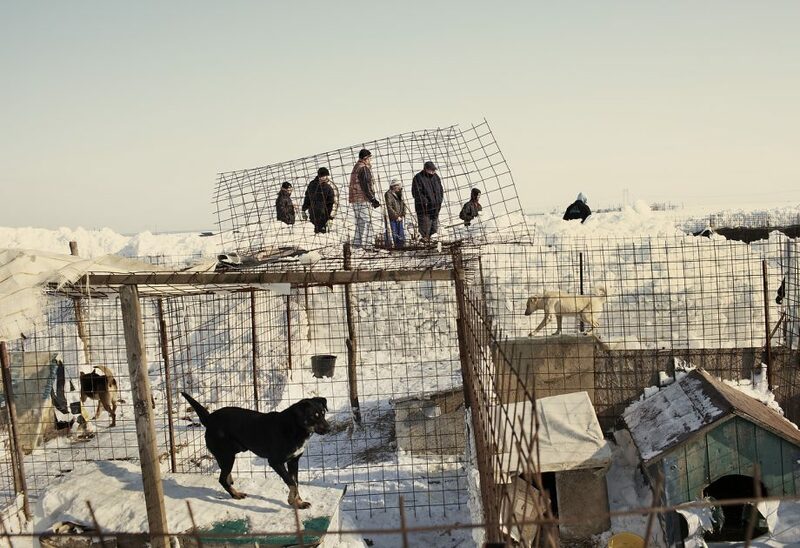 My first encounters were with those that jumped in and gave proper shelter to the freezing dogs when the snowstorms badly hit south-eastern Romania. They had their own dogs, and what is more, they had their own problems. But they could not stand by and watch animals suffer. Many of them ended adopting some of the poor souls they thought they were giving only temporarily shelter. Later I met those who decided to adopt some of the dogs that were offered temporary shelter. The adoption is an extremely touching moment. Signing the adoption papers is a solemn moment that validates your love through the responsibility you have accepted. Because they love the animals, they feel no burden. Their love takes an immense toll on their lives and their relationships. I would say it’s a test. A test of their own humanity. Those that pass the test make the world a better place. Animal lovers helping removing the snow that covered the “Second Chance” dog shelter, outside Glina, east of Bucharest, Romania. 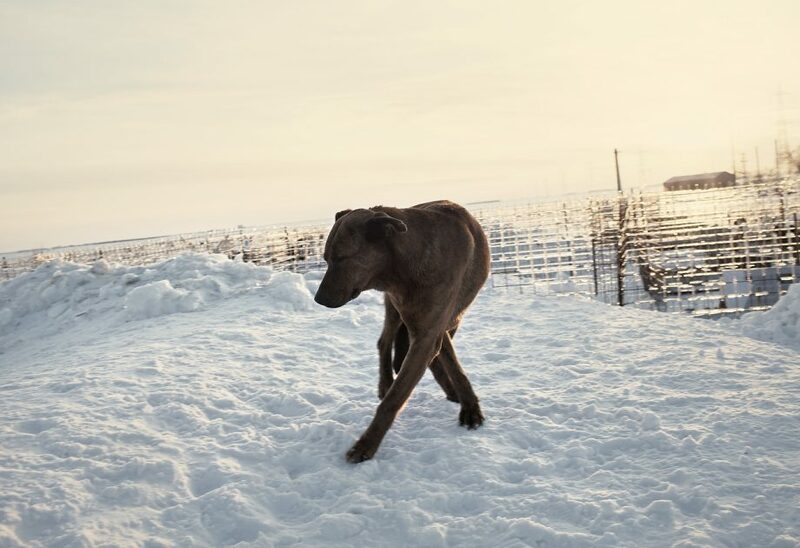 The animal protection association received help from volunteers on Saturday, to clear snow that was threatening the lives of the dogs in the shelter following days of snow snowstorms in southern Romania. A stray dog sits on a large pile of snow at a shelter in Glina, Romania, February 8, 2012. 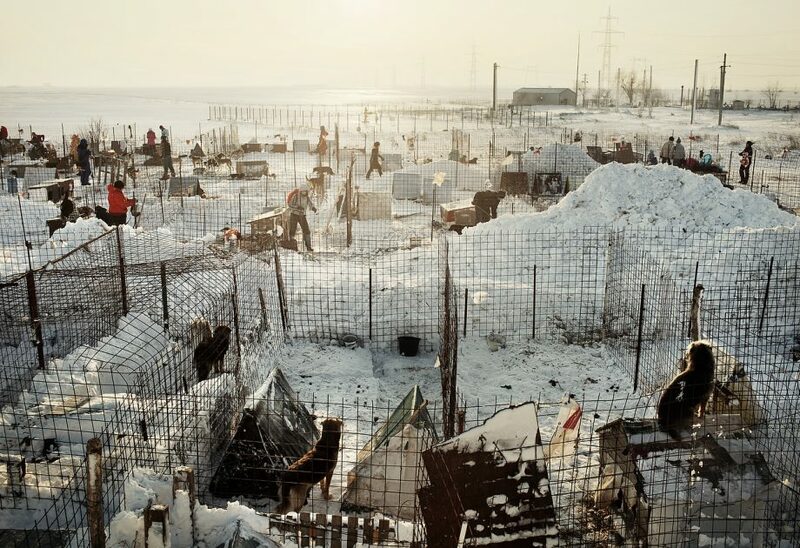 The animal protection association received help from volunteers on Saturday, to clear snow that was threatening the lives of the dogs in the shelter following days of snow snowstorms in southern Romania. Inmates shovel snow at a stray dog shelter in Glina, Romania, Monday, Jan. 30, 2012. Inmates from the neighboring Jilava prison were mobilized, in temperatures below minus 15 Centigrade, (5 degrees Fahrenheit) to clear the snow after the shelter was snowed in following blizzards at the end of last week. Temperatures plunged to minus 27 Centigrade (-16,6 degrees Fahrenheit) in parts of Romania.